Comfy kids seating and convenient to carry. 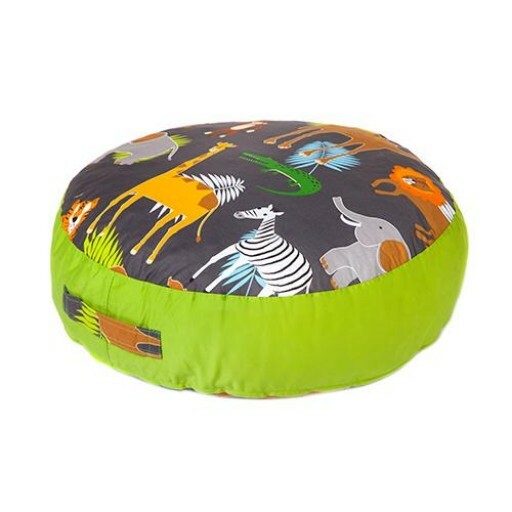 This large round shaped cushion comes with a clever carry handle so easy even a child could do it. Made in the U.K. from high quality water resistant fabric with a soft crumb filling its super comfortable. Washable zipped covers mean they're practical too. Size 70cm x 30 cm.